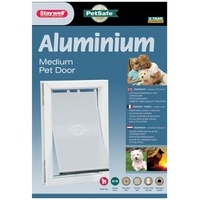 A top of the range Aluminium pet door with 3 year AU warranty with PetSafe. 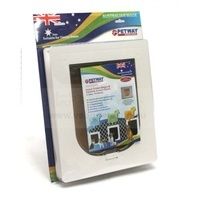 Comes in 4 different sizes to suit a wide range of pets. 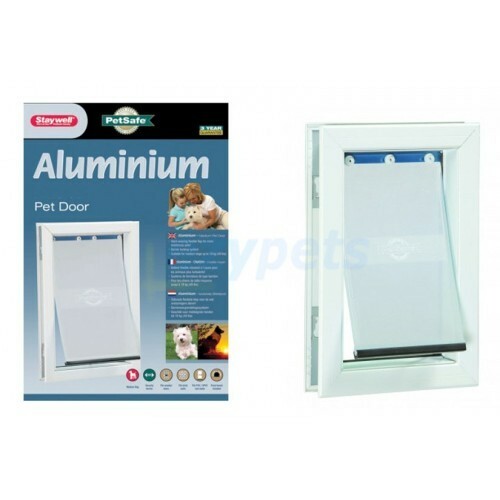 If you are going to cut a hole out of your expensive timber door, you may want to make sure you are getting the best with this premium aluminium pet door suitable for timber door and wall installations (thickness between 3cm to 12cm). 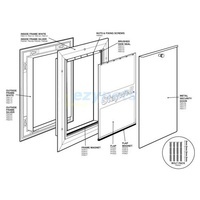 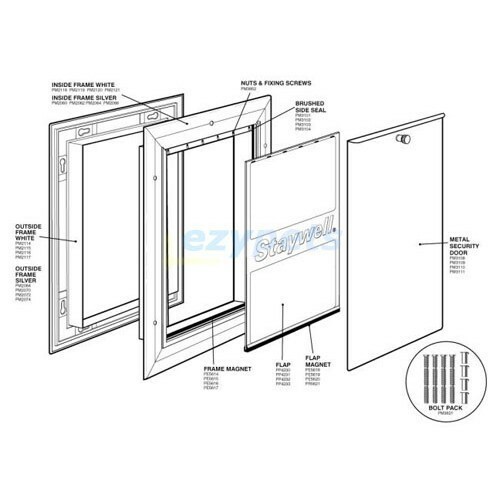 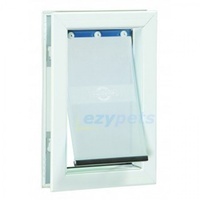 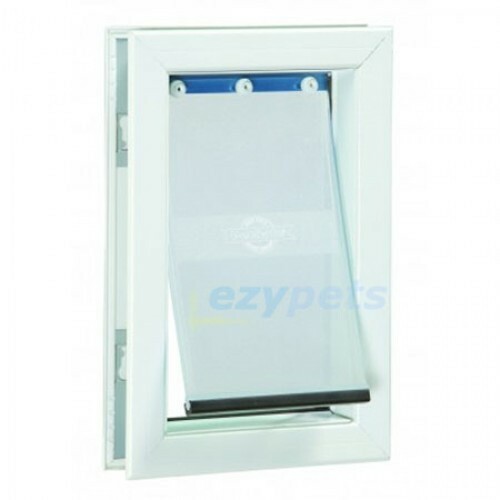 Heavy duty flexible flap and security panel to block off pet door when not in use. 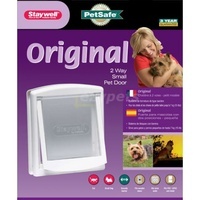 *Dog weight is a rough guide only. 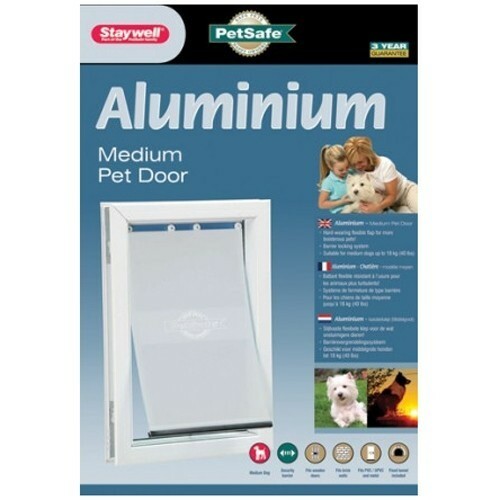 The best way to check is to cut a hole out of a piece of carboard based on the flap size, then get your dog to try to walk through it.